Cardiologist says “Modern Wheat Is A Poison”. ABC News reports, “Modern wheat is a perfect, chronic poison,” according to Dr. William Davis. Click the link to read the September 3, 2012 article and to watch the video. Dr. Davis says that modern genetically modified wheat contains gliadins, a glycoprotein. Gliadins are implicated in stimulating appetite, and have properties similar to opiates. 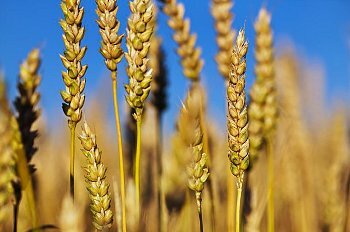 Wheat is the most prevalent grain in the American diet, and most breads, muffins, and pasta are made from wheat. Dr. Davis says dropping wheat will help you drop weight. Posted on September 11, 2012, in Food, Health News and tagged ABC News, Dr. William Davis, drop wheat drop weight, gliadins opiates, modern wheat unhealthy, wheat. Bookmark the permalink. Leave a comment.